One of the nice things about working for rideshare companies is that they typically offer a very good incentive to start, such as the Uber new driver bonus or guarantee. Uber sign-up guarantees/bonuses can fluctuate wildly by market and time of year, but these days, it’s not unheard of for a brand new driver to be offered a $500-$1,000 guarantee just to sign up and do 50-100 rides within 30 days. In the past, Uber’s new driver sign up bonus would be $500 but these days they are shifting towards a guarantee in almost all their markets, which isn’t as lucrative but still not a bad deal. If you’re ready to sign up with Uber and get your bonus, we’ve created the ultimate guide to answer all of your Uber sign on guarantee questions, plus how much drivers make with Uber, how to get started driving with Uber, Uber driver requirements and more. First, you’ll need to know a few things about driving for Uber, including what the Uber driver requirements and Uber vehicle requirements are in 2019. Sign up here using our link to drive with Uber! Uber ended its new driver sign up bonus. Now Uber gives each driver a guarantee as a bonus. For example: a new driver previously earned a $500 bonus after completing enough Uber rides, on top of what they already earned. But now a driver will get $500 guaranteed for completing their first 50 Uber rides in 60 days. So even if a driver makes less than $500, Uber will pay the difference (as a bonus) to make sure you reach $500. Each rider is given a unique Uber invite code to send to friends and family to give a free ride if they have never used the service before. An Uber driver promo code and an Uber sign-up bonus code are the same thing. It’s the code you’re given by an existing driver to use in order to receive your sign-up guarantee. Any website out there telling you to use their code for a bonus is likely scamming you or old and haven’t updated their information since Uber changed from a sign-up bonus to a sign-up guarantee. So, take those offers with a grain of salt and only trust what Uber tells you when it comes to how much you’re guaranteed for your first rides with them. To be a new driver for Uber, you must be at least 21 years old, pass a background check, have at least three years of driving experience, have access to an eligible vehicle and able to provide a valid driver’s license. For the specifics from Uber itself, look here. Your vehicle must have 4 doors and able to transport a minimum of 4 passengers. It must also be at 15 model years old or newer and cannot have any cosmetic damage or missing pieces. For complete details, see Uber’s vehicle requirements page. The most important first step to take as you’re signing up for Uber as a driver is to get a referral code so you can receive the new driver guarantee. The guarantee varies from city to city and from month to month, depending on demand for drivers and the area you’re signing up to drive in. It doesn’t matter whose code you use, as all Uber referral codes are created equal. The only thing that is different is the city that you’re signing up the drive in. For example, in smaller cities without as much passenger demand, the guarantee may be smaller than cities of equal size with a high passenger demand, or in larger cities, also with a high passenger demand. 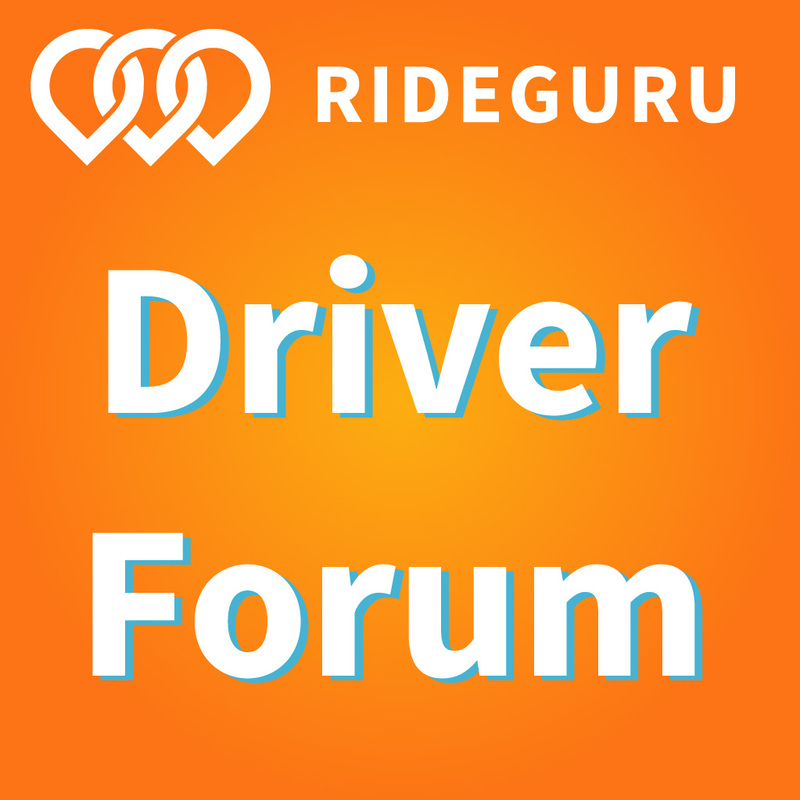 The easiest way to get a referral code is from a fellow driver, such as Harry’s: 3e3dg. By clicking here, or on the image below, you can have the RSG referral code automatically applied. Simply fill out the rest of the information and you’ll be ready to go. You can also manually apply the RSG referral code. You can manually type 3e3dg in the box as shown in the image below. You’ll simply go to the Uber site or through the Uber app and simply enter the code 3e3dg in the box when filling out your personally information. It’s very important to include the referral code before you sign up for Uber. Otherwise, it’s much more difficult and sometimes impossible to receive that guarantee retroactively. As they say, time is money, and you don’t want to miss out on free money when it’s being handed to you on a silver platter. So, save yourself the time and hassle by entering the referral code upfront. To find what your sign on guarantee is on Uber’s website, go to https://www.uber.com/drive/requirements/ and it’ll show you what’s currently guaranteed in your area, as shown below. The driver referral amount will differ by city but you’ll be notified via email what your sign-on guarantee is. Be sure to save this email! What is an Uber Driver Guarantee? Uber’s “guarantee” structure has drawn some criticism from many drivers since many folks sign up under the impression that, once they complete the required number of rides, they’ll take home a big chunk of cash on top of their regular earnings. Instead, the guarantee typically amounts to much less. If you were offered a Uber sign up bonus guarantee of $300 after completing X number of rides, and you made $297 in fares while completing those rides, you’ll only collect a measly $3 extra. How Much is Your Uber Driver Guarantee? Typically, bigger markets like Los Angeles or New York will offer the highest guarantees. Unfortunately, Uber doesn’t publish a public list of guarantees, but here’s a list we compiled in July 2017. As you can see, in general, the larger cities tend to have the higher guarantees. If you want to know what your existing guarantee is for your city, you’ll need to reach out to Uber for the latest opportunities. How does Uber determine which cities get which sign on guarantees? There are two factors that go into this: how many drivers there already are and the demand for more drivers. For instance, the guarantee in a larger city will likely be higher than in a smaller city, but even small cities can have a high demand for drivers, so it’s always best to sign up using a referral code: 3e3dg, so you can get that guarantee if there is one available in your city. What are the Terms of Your Uber Driver Sign Up? As you’ll discover, it’s really important to read all the fine print when it comes to dealing with Uber. Uber will typically require you to complete 50-100 rides within 30 days of activation in order to get your bonus. Again, terms can vary by your city but you can verify the exact terms for your city by contacting Uber. Note: If you don’t receive a response via e-mail, you can always submit an issue through the Help section on the driver app. Be sure to keep all correspondence between Uber and yourself, most especially in reference to the guarantee. If, for some reason, Uber doesn’t pay you your guaranteed amount if you’ve followed all conditions, you’ll want proof of this to take to Uber. Don’t leave anything completely in Uber’s hands. You want to make sure you’re getting your fair share. Someone told me that if I used their code, I would get $2,000. Why should I use your code? All codes are created equal. If someone is telling you their code will get you more, they are either trying to scam you, or they don’t realize that a different market will offer a different guarantee amount. Use theirs, use ours, you’ll receive the same amount no matter what — again, assuming you meet all the criteria to receive the guarantee. What’s the Uber sign on bonus or guarantee in my city? There are ways to check the sign-on guarantees without actually signing up officially. Submit a “dummy” application to find out the current sign-up guarantee to make sure it’s worth your while. The way to do this is to use your existing gmail address but with a slight change. If you add a period in the email address before the @ symbol, the information you want will still come to your actual email address. Do I have to accept every Uber ride? Nope! In fact, we recommend you don’t. You can screen your rides to see where the passenger is going so you can decide before accepting if you want to do that trip. With Uber, you need to get close to your pick-up point, start your ride, see where the destination is and cancel at that point if you want. With Lyft, just tap that you’ve arrived when you’re about a half a block away from the pickup spot and you can see the destination at that point and cancel the ride from there. Some will say this is not a good or ethical thing to do as a driver and others will be all for it. One argument for screening your rides is in order to meet your quest or bonus for the day/week. If you’ve been driving all day and only doing long rides, you might be missing out on your quest and therefore missing out on extra, free money. No one wants to say goodbye to free money. A solid argument against it is that you’re not being professional and you’re leaving passengers stranded. In larger cities, this might not be the case because there will be another driver along momentarily, but in smaller markets, it could very well be that you are the only driver nearby and that your passenger is going to be late for their appointment or getting to work because you’ve declined their ride and no one else is within a reasonable distance. Keep in mind, doing this will not affect your ratings. Once you cancel, a rider cannot give you a rating. How long do I have to wait for an Uber rider before cancelling? When I emailed Uber, they told me that their policy is that after five minutes, if you’ve been in contact with them, they want you to wait 10 minutes if you’ve been in contact with them. But technically you only need to wait five minutes and then you can cancel as a no-show. How do I make the most money as an Uber driver? Learn all the different ways to boost your Uber income here. Our favorite recommendation for Uber drivers who want to make more money is to join our exclusive Freebird program. Uber Insurance. Do I actually need it? Am I covered when I’m driving for Uber? Rideshare driving is split into three different periods of time. The first is when you’re online and waiting for requests. Period two is once you’ve accepted a request and you’re en route to your passenger. Period three is when you have picked up your passenger and are actively driving them to their destination. During the last two periods, Uber provides $1 million in liability coverage and they provide collision coverage but with a $1,000 deductible that you’d be responsible for if you are at fault. Lyft’s deductible is $2,500. The problem is that during the first period, you will not have collision coverage the liability limits are much lower than normal. This is where rideshare insurance would come in handy. The real sticky spot is that if you tell your insurer that you’re a rideshare driver, they won’t cover you during period one either, unless you have special rideshare insurance through them. 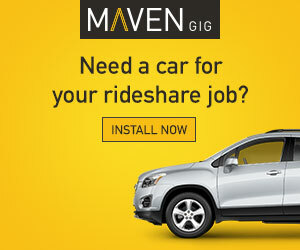 Rideshare insurance overall is fairly affordable. The hassle is in finding an agent that will cover you and getting those quotes so you can make the best decision for yourself. Check out the video below to hear Harry talk more about this topic and to find out which insurance companies in your area cover rideshare insurance for that first period of rideshare driving. Why should I drive for Uber? You can read more about why Uber is better than Lyft here. When will I get my Uber driver bonus? You’ll receive your Uber driver bonus as soon as you’ve completed the required number of rides in the required number of days. This will be outlined in an email sent to you, so make sure you save this email and start counting down the days and rides you give right away! What requirements do I have to meet to qualify for an Uber sign up bonus? To become an Uber driver, you’ll first want to sign up using a referral code: 3e3dg. Once you do that, you do have to meet certain requirements such as be at least 21 years old and have at least 3 years of driving experience; have an in-state driver’s license; in-state auto insurance with your name listed on the ID card; a car that is registered in-state; and you need to pass their background check. Your car will also have to pass certain requirements to be considered viable as an Uber vehicle. It will also have to pass a 19-point inspection on an annual basis. For more information on what requirements there are to become an Uber driver, refer to this article. Can I drive a vehicle with a salvage title for Uber? No. Titles cannot be salvaged, reconstructed or rebuilt. Also, Uber does not allow rental vehicles except from an approved Uber lender. What’s the difference between an Uber bonus and a guarantee? Uber transitioned from new driver sign up bonuses to guarantees. Originally, the referral code would give the driver and the referrer a bonus amount which would be added money on top of what you’re earning as a new driver with however many rides you’re asked to give. Now a referral code will give you a guarantee. A guarantee is guaranteed earnings with the number of rides you’re being asked to give. Example: $500 bonus after completing your first 50 rides in 60 days. This would be $500 on top of what you earned with the 50 rides. $500 guarantee for completing your first 50 rides in 60 days would be if you made less than $500 in earnings for giving those 50 rides in 60 days, Uber will pay the difference to make sure you reach $500 total. The sign-up bonus was often better than a guaranteed rate, but this is what Uber seems to have transitioned to. What happens if I earn more than the Uber guarantee while driving? Basically, you will not earn anything extra. You are not paid additional money nor will you earn a guaranteed amount per trip with Uber. That’s why it’s good to follow the earning strategy below! Also, keep in mind that if you do not meet the criteria for your guarantee, you will not get paid anything aside from what you’d already earn for the trips you completed. So, if your guarantee says you need to do 50 rides in 30 days and you only do 45 trips in 30 day, you won’t get the guarantee amount. What’s the best way to hit the Uber sign up guarantee? This new incentive structure is a lot less lucrative for new drivers, and unfortunately, it looks like it’s here to stay. To maximize your earnings and minimize your expenses, the best strategy for new drivers is simple: Go for short rides. The less you earn on each ride, the less wear and tear you’re putting on your car. Although it seems counter-intuitive, it’s best to try and make as little money as possible at first so you can collect more cash as part of your guarantee. 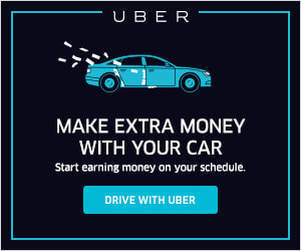 How can I contact Uber about my sign on bonus? The switch from bonuses to guarantees was bumpy to say the least and it really made a lot of new drivers upset. But guaranteed earnings is a better business strategy than bonuses because it allows drivers to have an incentive to drive without making the business go under for overpromising and overpaying their drivers. Drivers who got caught in the shuffle ended up with less than what they thought they would earn, but Uber did its best to right the situation and put new drivers at ease. Uber also can’t afford to be generous with the new driver sign on bonuses any longer. Uber wants to go public in 2019, which means they have to stop announcing quarterly losses and focus on profitability. I’m signed up! How do I use the Uber driver app? Using the Uber driver app is simple once you see it in action! The best way to learn how to use your Uber driver app is to watch how it’s done – check out the updated for 2019 Uber driver app video below! A quest is a type of bonus where you earn extra money after you reach a certain number of trips during a certain time period such as during the week or over the weekend. The quest offers you get are for you and you alone. Other drivers in your area will see different quests, often based on their driving habits, such as full-time versus part-time drivers. The quest bonus includes any and all rides taken during that time period excluding cancellations. Boosts are bonuses where you’re guaranteed surge pricing in a geofenced area during a certain time of the day. A request has to come from within that geofenced area during that time period for you to earn that guaranteed surge pricing or “boost”. Consecutive trip boosts are a bonus amount that you’ll be paid for completing a certain number of rides in a row during a specified time period and the first ride must start in a specified zone. If you cancel or the rider cancels, you will not receive the consecutive trip boost unless you’re able to get the required number of rides in the time remaining, with remembering to get that first ride in the specified zone. Also, you cannot log out, deny or ignore any rides during that time period while you’re building up toward that boost. What about Lyft and their guaranteed sign on bonuses? What Does Uber’s Pivot from Driver Sign Up Bonus to Driver Sign On Guarantee Mean for Drivers? I think Uber has the right to implement whatever structure they want for their Uber sign on bonuses or guarantees, but the way they handled this experiment highlights the disconnect between corporate employees and drivers. The second I heard about these new guarantees, I knew they were a bad idea and were going to cause a lot of confusion and anger for new drivers. And clearly, they did. How Can Drivers Earn More Driving for Uber? First, How Much Can an Uber Driver Make? Overall, Uber drivers make around $16.90 per hour, based on a survey RSG conducted in 2018. Part of that might be thanks to the introduction of tipping within the app, which increased drivers’ earning potential through Uber. Getting paid is probably the easiest part. Your weekly earnings are directly deposited into the bank account you provide Uber, including your Uber sign on bonus. You’ll see your earnings every Wednesday from the previous week, ending at 4am Monday morning. You’ll need a bank account in order to receive your direct deposits, but also you’ll want to consider setting up a card for instant payouts. You can instantly pay yourself after earning money from giving rides if you have a card on file. This is extremely helpful if you have a bill that’s due before your weekly earnings would normally be deposited. There is a 50 cent fee for using the instant pay service, which doesn’t seem like a lot, but could add up over time if you use it on a regular basis. When is the Best Time to Drive as an Uber Driver? / When Can I Earn the Most Money Driving for Uber? This question is one that’s difficult to answer because it really all just depends. It depends on the demand, it depends on your preferences and it depends on your market. Generally speaking, evenings and weekends tend to earn you more bucks, but only if you do it right. If you work Tuesday and Wednesday evening, you won’t get the same earnings as Friday and Saturday evening. On the other hand, if you’re out and about during the morning and evening commute, you’ll keep busy during those times and likely earn a decent wage. Part of the equation is also what you prefer. Some people absolutely hate driving at night, so their best option is to find out when demand is highest during the daytime. But you can also flip that on its head, and if you prefer driving at night, you’ll want to find the times that will work best for you. That could also mean finding out when events are happening in your city and driving during times that would be ideal for dropping people off at those events. For an in depth dive into the pluses and minuses of daytime and nighttime driving, take a look at this article here. Want to drive for other services too? Here are all the best driver sign up bonuses. Overall, driving for Uber in 2019 can be very profitable if you follow the recommended strategies above. Driving for Uber in 2019 is not like driving for Uber a few years ago – it has become a little more difficult and you will have to employ some clever driving strategies in order to be successful. 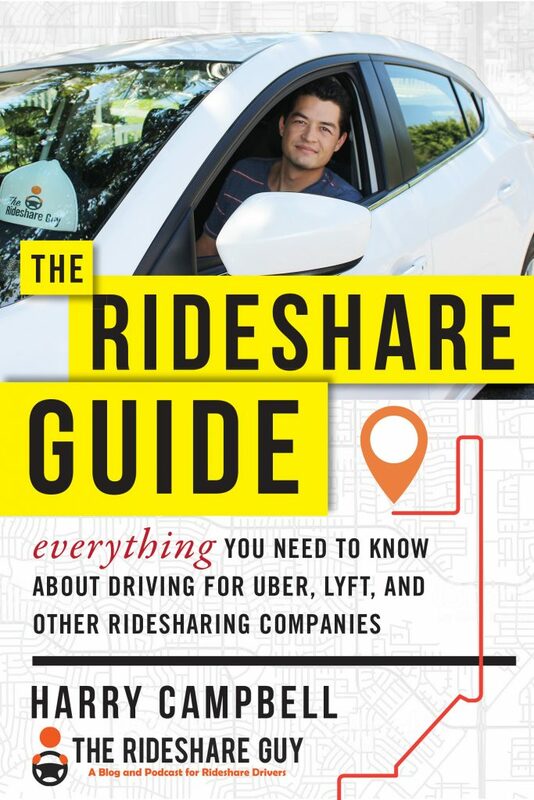 However, with this guide, you are on the right path to achieving profitability while driving for Uber and getting your Uber sign up bonus! Whether you drive full-time or part-time, this guide should help you earn more and stress less while driving with Uber. As always, don’t forget to sign up with a referral code! You can click here to sign up or on the image below. Safe driving out there! Why Should You Drive for Uber?